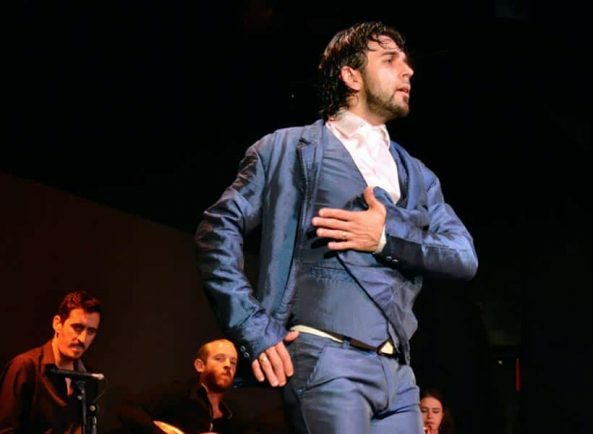 Occupying a wonderful 1920s era theatre, El Palacio del Flamenco (‘The Flamenco Palace’) is one of the most well-known and respected tablaos in Barcelona, dedicated to the art in its purest form. Completely renovated in 2006, the building combines modern elegance and the latest audiovisual technology with elements of its period decor from the early 20th century. 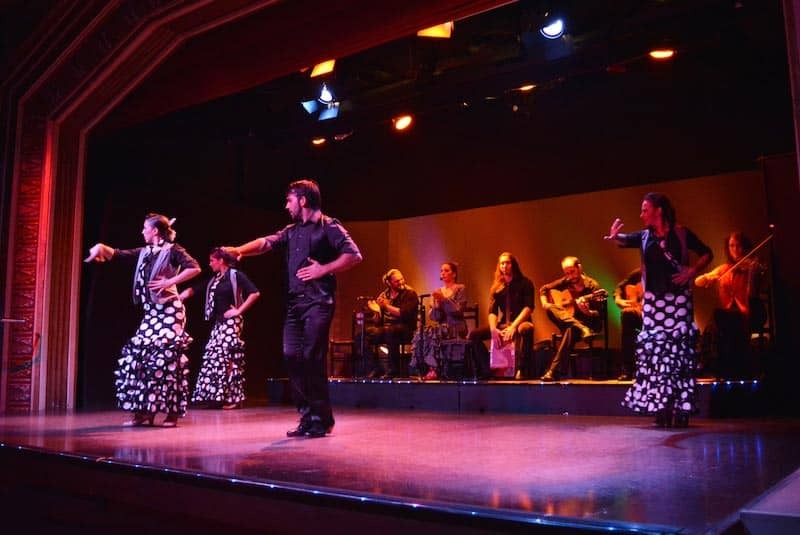 With a seated capacity of 380 people, it’s one of the largest venues for catching a flamenco show in the city, and up to 14 artists perform during each concert, including singers, dancers, guitar players and other musicians. The Palace hosts three different shows each night, each one hour long, and most guests choose to enjoy dinner with the performance as well, choosing from their Tapas Menu, Paella Menu or Vegetarian Dinner options. Another, more affordable option, is just to buy tickets for the show itself, which comes with a free drink. The theatre is located on Carrer Balmes, near the top of the famous Passeig de Gracia boulevard and just a couple of blocks away from Diagonal metro station. 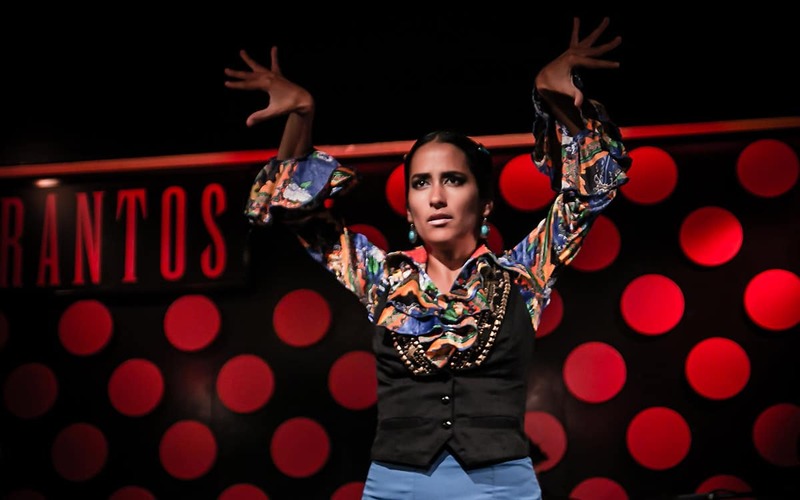 El Palacio del Flamenco throws on three shows each night, Monday to Sunday. 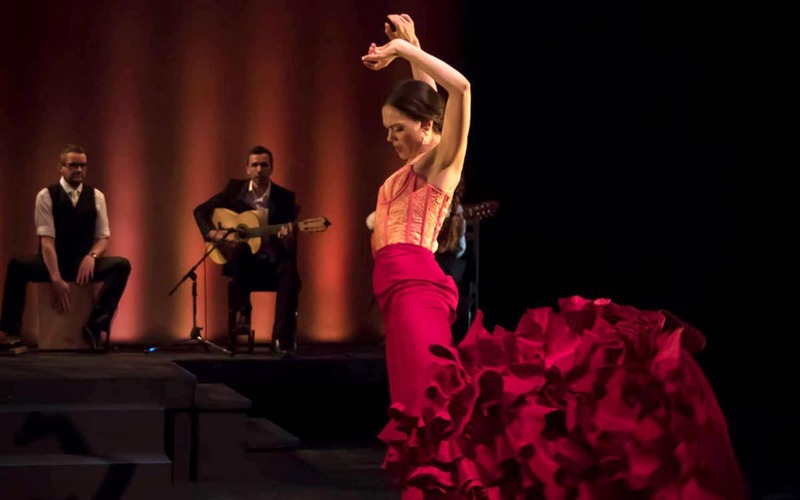 18:25 to 19:25 – Flamenco & Ole, a great introduction to the art. Don’t worry too much about the differences between each show, as they are not wildly different from one another, especially if you’re a novice to the art form. 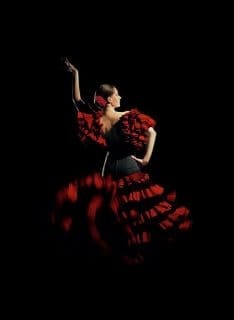 Rather each showcases the stunning passion of this gypsy song and dance that came to symbolise the soul of Spain! 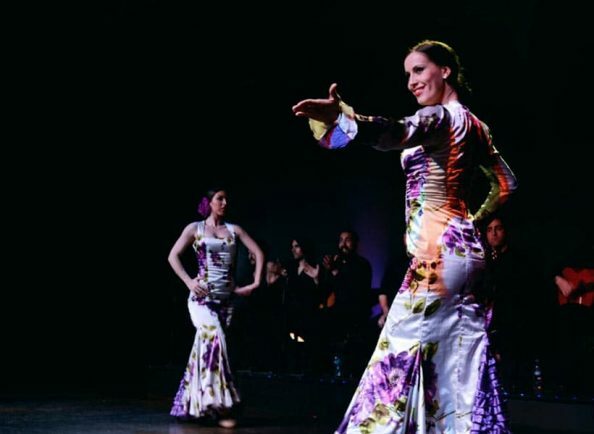 Whilst most of Barcelona’s top tablaos offer dinner with the show, Palacio del Flamenco’s dedicated catering team means their food offer is much better than the competition’s. Don’t expect Michelin-starred cuisine, but you will get a quality Spanish meal that fits the occasion perfectly. Option 1: Show + Paella Menu (€50). Enjoy Spain’s most iconic dish, a delicious seafood paella, with the concert. Menu also includes salad bowl, one drink and chocolate profiteroles. Option 2: Show + Vegetarian Dinner (€50). Enjoy a special vegetarian version of the classic paella dish. Menu also includes a salad bowl, one drink and chocolate profiteroles. Option 3: Show + Tapas Menu (€65). A smorgasboard of Spanish tastes, this menu includes seafood paella, Spanish omelet, cheese salad and chicken stew. It also includes one drink and chocolate profiteroles. Children’s Menu. Children 12 years old and under are served a special menu (spaghetti, chicken with french fries and soft drink) for a total price of just €22, including concert. Show + Drink. Alternatively you can buy tickets for just the show with a drink for €35 per person (€12 for children). Important Notice: Dinner in each case starts 25 minutes before the show, and they like you to be on time. 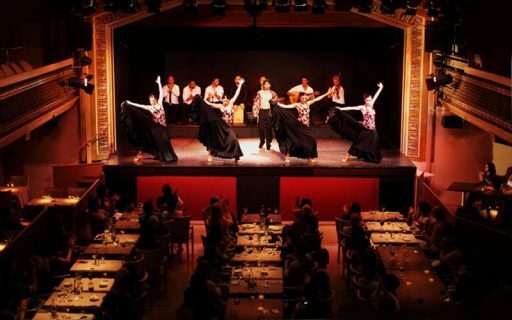 In fact you can head to the Palace an hour before the main show to catch a live flamenco class before dinner. 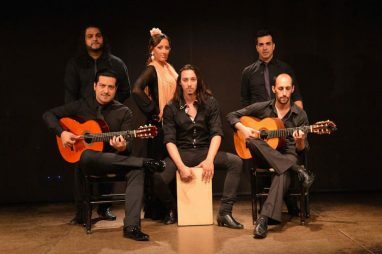 You can book tickets for one of the Palacio de Flamenco’s shows in Barcelona, easily and securely via Get Your Guide. Once you have selected your preferred date and number of people the dinner options will reveal themselves and you can select your preferred menu etc. 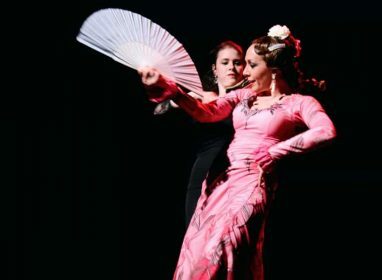 Whilst there is no official dress code for a night at the Palacio del Flamenco, it’s traditional in Barcelona to dress up for nights of culture, and many tourists enjoy the opportunity to wear something more formal, like a jacket or cocktail dress. That being said many others will be wearing casual comfort clothes, so it’s really up to you. A fantastic venue with passionate singers and dancers that create a very moving performance. Overall a wonderful night and one of the highlights of our trip to Barcelona.